Regulatory Solutions Acquires Assets of Culp QC, Inc.
Birmingham, Ala. – Regulatory Solutions LLC is pleased to announce that it has acquired the assets of Culp QC, Inc., a provider of quality control, post closing audit services to the mortgage industry. This transaction will significantly increase Regulatory Solutions’ business as well as its presence throughout the United States. Culp QC will continue to operate as a separate division of Regulatory Solutions under the Culp QC name with offices in Owensboro, Kentucky. Terms are undisclosed. According to Reynolds, in 2011 she set out to provide practical real world regulatory compliance assistance to financial institutions and mortgage companies. “We now serve clients all over the Southeast and expect our growth to continue nationwide,” she said. “It is an exciting time for us as we continue to serve our expanding client base with quality regulatory solutions.” Last year, the company acquired the assets of Outsource Mortgage Consultants, Inc., in Lexington, Kentucky. 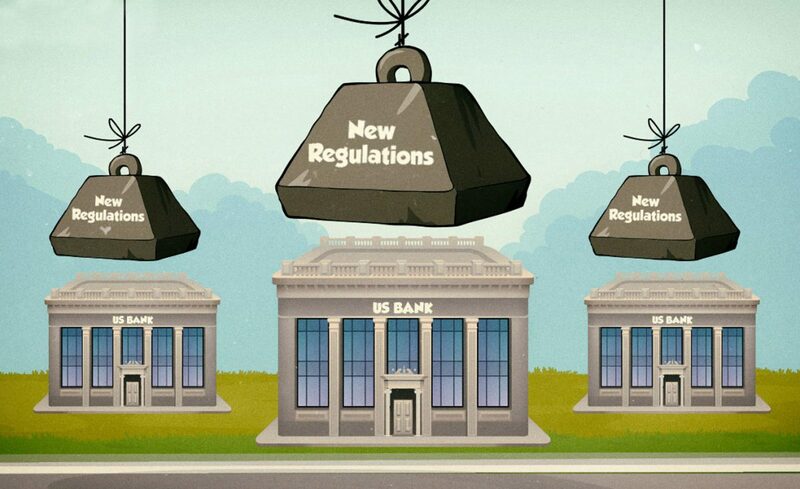 Regulatory Solutions: Regulatory Solutions, a certified Women’s Business Enterprise, is located in Birmingham, Alabama, and provides regulatory and compliance consulting services to banks, mortgage companies, credit unions and investors on a nationwide basis. The company specializes in post closing, pre-funding and servicing quality control reviews for the mortgage industry. Culp QC, Inc.: Culp QC, Inc. located in Owensboro, Kentucky was founded in 1995 by Bruce Culp, is a leading provider of quality control services nationwide. Bruce Culp, its founder will be retiring after 45 years in the mortgage business. To read the release on al.com, click here. Author Rhonda WannemuehlerPosted on October 9, 2017 February 21, 2018 Categories Company NewsTags HMDA Scrubs, mortgage quality control, regulatory compliance, regulatory solutionsLeave a comment on Regulatory Solutions Acquires Assets of Culp QC, Inc.
Regulatory Solutions LLC was recently re-certified as a Women’s Business Enterprise (WBE) by the Women’s Business Enterprise National Council South, a regional certifying partner of the Women’s Business Enterprise National Council (WBENC). Regulatory Solutions is a women owned, privately held company which specializes in lending compliance particularly pre-funding and post-closing quality control loan file reviews, servicing reviews and HMDA scrubs on a nationwide basis. WBENC’s national standard of certification includes an in-depth review of the business to confirm the business is at least 51% owned, operated, controlled and managed by a woman or women. WBENC is the nation’s largest third-party certifier of businesses owned and operated by women. It is recognized by more than 700 corporations across the US and many federal and government agencies that rely on WBNEC’s certification as an integral part of their supplier diversity programs. Certification is the cornerstone of WBENC’s value proposition. The WBENC certification standard is the most relied upon certification of women-owned businesses. Certification is administered throughout the 50 United States, Puerto Rico, and the Virgin Islands by 14 Regional Partner Organizations. The ongoing goal for WBENC certification is to be the most valued certification of women-owned, operated, and controlled businesses, which is recognized by public, private, non-profit and government entities. Get more information at wbenc.com. Four Regulatory Solutions quality control and compliance analysts recently completed the required training and passed the exam requirements to earn the National Association of Mortgage Underwriters (NAMU) certification as Certified Mortgage Quality Specialists. Ross Page, Lindsey Wood, Yvonne Price and Robin Pounders recently received the certification and all joined Regulatory Solutions last year as a part of the company’s expansion. Ross Page joined Regulatory Solutions in June 2016 and serves as a quality control verification analyst. Previously he was with Sterne Agee/Stifel and is a 2016 graduate of The University of Alabama. Lindsey Wood graduated from Auburn University in 2012 and Samford University’s Cumberland School of Law in 2016 and worked in the financial and legal fields before joining Regulatory Solutions as an associate and compliance analyst last year. After working several years in senior underwriting and mortgage loan officer positions, Yvonne Price joined Regulatory Solutions in 2016 as a quality control analyst. Robin Pounders also joined Regulatory Solutions in 2016 as a quality control analyst performing pre-funding and servicing quality control loan reviews to ensure accuracy and compliance with regulatory and agency requirements. She started her career in the mortgage industry in 1998 at New South Federal Savings Bank and worked in the banking and mortgage fields in a variety of mortgage loan related roles before joining Regulatory Solutions. Read the full article on al.com. Our latest acquisition means we now serve clients all over the Southeast. In July 2016, Regulatory Solutions LLC acquired the assets of Outsource Mortgage Consultants, Inc., located in Lexington Kentucky, a provider of quality control post closing audit services to the mortgage industry for the past twenty-two years. Outsource Mortgage Consultants operates as a separate business unit of Regulatory Solutions under the Outsource Mortgage Consultants name. With this acquisition, the company increased its presence in the States of Kentucky, Indiana and North Dakota.